BFree is an Irish health food company that was developed to bring tasty good for you breads, and it’s currently expanding its Australian product range. 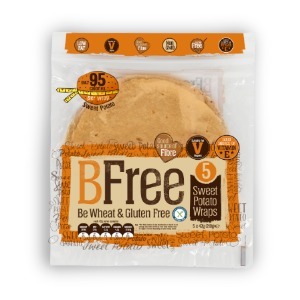 Sweet Potato – The BFree Sweet Potato wrap is the first of its kind, building on the popularity of sweet potatoes in recent years. Made with ground down sweet potatoes, they are only 95 calories per wrap. 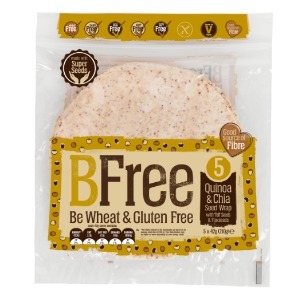 No added sugar – good source of fibre and antioxidant Vitamin E.
Quinoa & Chia Seed – Using the ancient grains of Quinoa, Chia, Teff and Flax Seeds, these wraps are packed with nutrients and fibre – a great source of Protein. Try them as a tasty pizza base.